Important insight into your state of health is offered by a hearing test. Hearing tests can potentially detect other health problems because the ears are so sensitive. What will a hearing examination tell you about your health. A Hearing Test, What is it? Out of the various types of hearing tests, putting on headphones and listening to a series of tones is the standard evaluation. In order to discover the depth of your hearing loss, the hearing professional will play the tones at different volumes and pitches. Another typical hearing exam consists of listening to words in one ear and repeating them back to make sure you are capable of interpreting sounds accurately. At times, this test is intentionally done with background noise to find out whether that affects your hearing. Tests are usually done in each ear separately to get a proper measurement for each side. What is The Significance of Hearing Test Results? The degree of damage is based on the decibel level of the hearing loss. Do Hearing Tests Determine Anything Else? 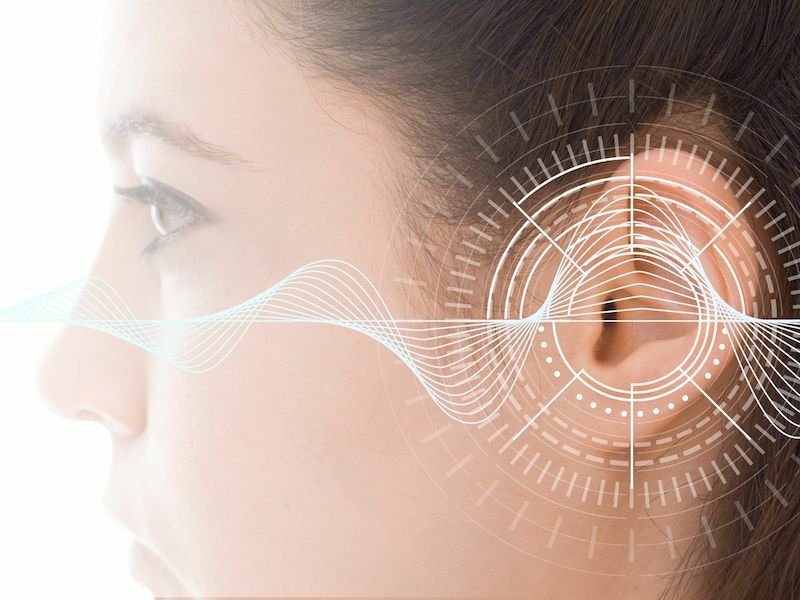 Other hearing tests can evaluate the thresholds of air and bone conduction, viability of the structures in the middle ear such as the eardrum, kind of hearing loss, and a person’s ability to hear distinctly when there is background noise. And, Otosclerosis, which if caught early enough, has the possibility of being reversed. Dizziness, vertigo, and other problems associated with Meniere’s disease. Heart and circulation problems. The inner ear has one blood vessel, and that makes it more sensitive to fluctuations in blood pressure and cholesterol. Diabetes. Damaged blood vessels, including the ones in the inner ear, can theoretically be harmed by too much sugar in the blood. Severe headaches and pain in the joints caused by Paget’s disease. Rheumatoid arthritis. Research reveals that people with RA are as much as 300 percent more likely to have hearing loss. You can look for ways to protect your health and manage your loss of hearing once you discover why you have it. The hearing expert will also look at the results of the exam to identify risk factors caused by your hearing loss and create a preemptive strategy to lower those risks. What Are The Risk Factors of Neglecting Hearing Loss? Medical science is beginning to recognize how quality of life and health are affected by hearing loss. Researchers from Johns Hopkins kept track of 636 individuals over 12 years. They found that a greater risk of dementia comes with loss of hearing. The more significant the hearing loss, the greater the risk. Double the risk of dementia comes with moderate hearing loss, according to this study. Three times the risk comes with moderate hearing loss and five times the risk with severe hearing loss. Also, social decline is apparent in people with hearing loss. People who have difficulty following discussions will avoid engaging in them. Less time with family and friends and more time alone can be the outcome. A hearing test could clarify a recent bout of exhaustion, also. The brain works to translate sound, so you can understand what you hear. It needs to work harder to perceive and translate sound when there is loss of hearing. That robs your other senses of energy and makes you feel tired all the time. Finally, the National Council on Aging reports there is a clear correlation between depression and hearing loss, especially age-related hearing loss when it is left untreated. Treating hearing loss, with hearing aids or other hearing technology, can decrease or even eliminate these risks, and a hearing test is the first step for proper treatment. A pain free way to learn about your hearing and your health is an expert hearing test so schedule your appointment today.